Even Atheists..... . Wallpaper and background images in the Atheism club tagged: atheism atheist funny easter candy christianity religion. 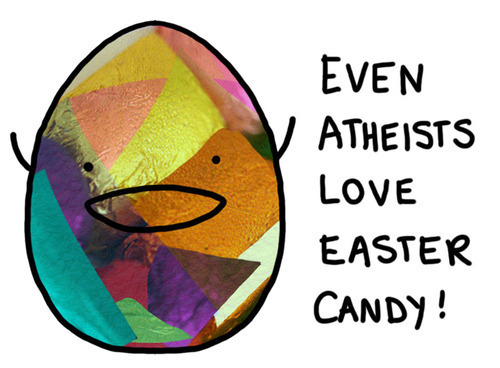 Fortunately, Easter candy is secular with eggs, chicks, and bunnies. I suppose there could be some with distinctly Christian imagery, but I've never seen it sold. True, so true! I love easter! I've seen chocolate crosses sold, which is pretty odd if you think about it! Otherwise, I think Easter candy is the best! Ok, that is true. Who does not?